The situation on the Russian grain market is such that the grain harvest this year could exceed 120 million tons, according to experts interviewed by Interfax. Their first projections are based on the fact that high grain prices encourage farmers to increase in this year the area of spring crops, the area under winter and so was a record. Heavy snowfalls in some grain-producing regions will not only protect winter crops from frost, but also to create good moisture reserves, and the absence of frost in the South will give winter more vitality. So, according to the preliminary forecast of the analytical center of JSC "Rusagrotrans", the grain harvest this year may be 123,3 million tons, including 78.6 million tons of wheat, 19.2 million tonnes of barley, 12.1 million tons of corn. 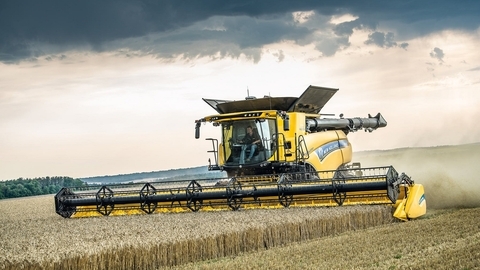 As stated by the head of the center Igor Pavensky, due to the high grain prices this season, we can expect the growth of cultivated areas to 47.3 million hectares as against 46.3 million hectares in 2018. The forecast center is also based on the fact that the harvest of 2019 was a record sown area of winter crops - 18 million hectares against of 17.55 million hectares to be harvested in 2018. Considering the winter the death area can be 17.3 million hectares, 0.4 million hectares more than the previous year. "Due to the high snow cover in the center and the Volga region and the lack of severe frosts in the South, it is expected a low level of loss of winter crops and favorable moisture reserves in the spring," said I. Pavensky. According to the center, the sowing areas of spring grains will be at the level of 30 mln ha as opposed to 29.6 million hectares last year. "Barring extreme weather events, grain yield in 2019 is likely to be higher than last year and above average for the last five years," he said. I. Pavensky also reported that exporters have already started to contract Russian grain from the new harvest. Prices for wheat with protein content of 12.5% with delivery in July-August are about $210 per ton. It is relatively favorable for agricultural producers level, he said. The expert said that from may 2015 to February 2018 rates were located in the range of $180-200 per tonne. According to the forecast of the Institute for agricultural market studies (IKAR), the grain harvest this year will amount to 121 million tons. But, as stated by the head of IKAR Dmitry Rylko, it is "highly conditional forecast, which is made in the framework of long-term trends". The wheat harvest this year, IKAR estimates of 76.6 million tonnes. The most optimistic forecasts for this year, the General Director of "Prozerno" Vladimir Petrichenko. He believes that the grain harvest can exceed 127 million tons. This estimate is based on the fact that expanding acreage. In addition, the loss of winter crops will not exceed 6% of the area that, according to him, is a good indicator of safety. According to the forecast of the Ministry of agriculture, the gross grain harvest this year will amount to 108-110 million tons, including 67 million tons of wheat. However, the data obtained from regions not exclude the possibility that production could reach 118 million tons. In the past year were collected 112,9 million tons of grain, the wheat harvest amounted to 72,1 million tons.